Since its birth in Truro in 1880, Bishop Benson’s Nine Lessons service has travelled all over the world, not least due to the annual broadcast from King’s College, Cambridge on Christmas Eve. With this release, we trace the story of the service from the first Nine Lessons service on Christmas eve in 1880 as it has developed in Truro. There is an audio-only CD recording of the reconstruction of the first 1880 service, a documentary about the history of the service in Truro, presented by Jeremy Summerly, and a full DVD Video recording of the Nine Lessons service as it took place on 23rd December 2014 in Truro Cathedral. 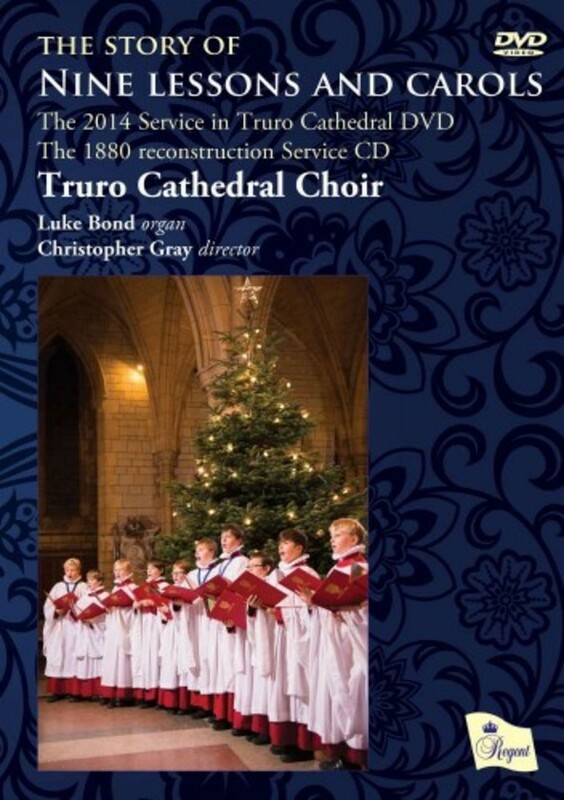 This is the first DVD by Truro Cathedral Choir, and the first choral DVD on the Regent Records label. The present day Truro Nine Lessons service strives to be, as it was for Benson in 1880, an act of worship that truly engages the people of Cornwall with the Christmas story. Capturing this spirit, and documenting Truro’s part in the history of Nine Lessons will add a new dimension to the way Benson’s service is experienced in the twenty-first century. Presented by Jeremy Summerly, charting the history of the Nine Lessons and Carols from its inception in 1880 by the first Bishop of Truro, EdwardWhite Benson, to the present day in Truro Cathedral.